For many years the stays for the fender at the front wheel of my every day bicycle were mounted directly at the fork without any clip. The problem: If any debris gets between the fender and the tire or into the spokes, this can lead to severe accidents when the fender is pulled up and the stays don’t release. 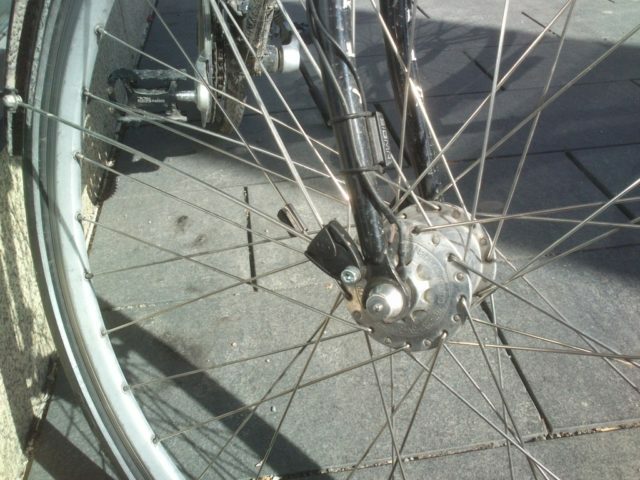 The advantage of “Secu-Clip” to the integrated plastic clips which SKS uses for some fenders regularly (for example “Bluemels”): This kind of fixation is much more solid and the fender does not wiggle so much.